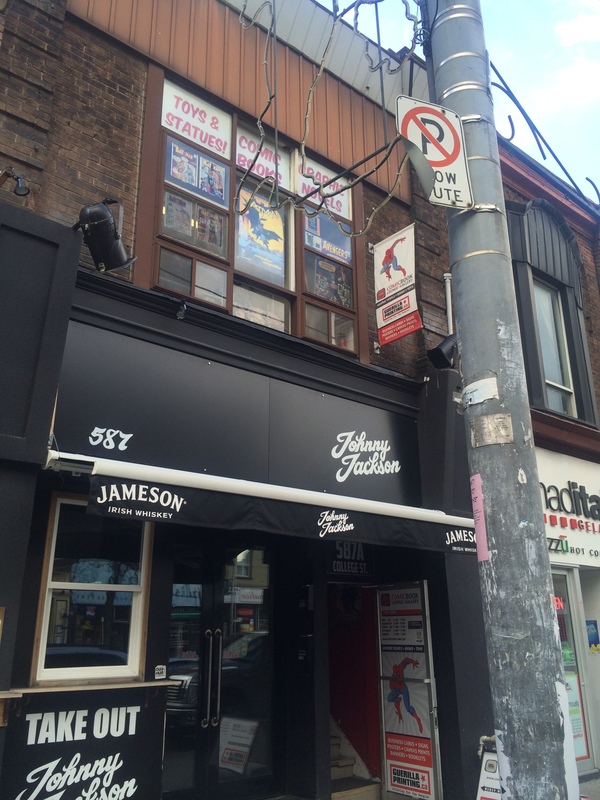 After a lot of consideration and a review of other properties and possibilities I have come to a decision on the future of the Comic Book Lounge + Gallery. It is that I will NOT be opening a new retail location when we leave the current spot at the end of our existing lease in the spring, however we WILL be continuing with our subscription service and will continue to exhibit at local shows. 2014 was a rough year for me. In early 2014 we were assessing these same options when my partner of five years, Debra, passed away unexpectedly from an epileptic seizure in her sleep. At the time the fine folks at the Temple of Toys helped me delay making this decision by coming in and leasing the space for an additional year after Guerilla Printing left, but unfortunately this has not proven to be a successful decision. Over the last three years I’ve been working essentially two full-time jobs and I’ve been running the annual Joe Shuster Awards, and to be honest, I need to take things back a notch, I just don’t have it in me at this time to commit to finding, renovating and opening a new retail store. We want to thank you for your support of the Lounge over the last few years. We will miss many of the benefits of having a physical location, especially the many fun events we’ve run over the last few years, but we hope to continue working with you going forward if you choose to continue ordering with us. We will continue to sponsor certain events (not conventions) in the GTA, so we hope to have some exciting news for you on that front after we’ve taken care of these immediate concerns. The inventory will be put into storage after 4/30. It will be available for ordering, and as show stock. 1. Move your subscriptions to another retail store. We can help you with this, we can recommend stores that might be a good fit for you and help you transition so you don’t miss an issue. (a) arrange for delivery to your home or work, whichever location works best for you or (b) you can pick up your books by appointment on select days and times in North Toronto. This will be the new Comic Book Lounge + Gallery, but it will be less of a retail location and more of a drop-in centre by appointment, or (c) pick up at local conventions and special events. Those people who choose to transition to our online ordering service will be given additional perks, discounts and specials. Delivery service in the GTA will be free of charge. We will have more on this as the details are finalized. 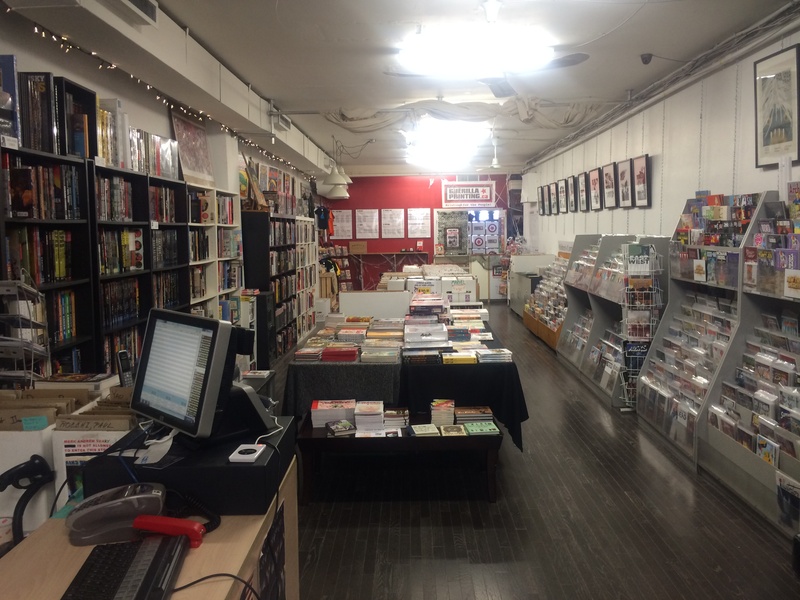 While we are disappointed to see one chapter end, we are excited about the future of the Comic Book Lounge in this new incarnation, and while we hope you will continue to work with us going forward, we do understand if you decide not to. Thank you for your support of the Comic Book Lounge.